Time flies! It’s a year ago today, 13th February 2014, that #Emilymatters began in the House of Commons. About 70 people crammed into the Jubilee Room at the House of Commons, there was literally standing room only. It was an evening I’ll always hold dear. 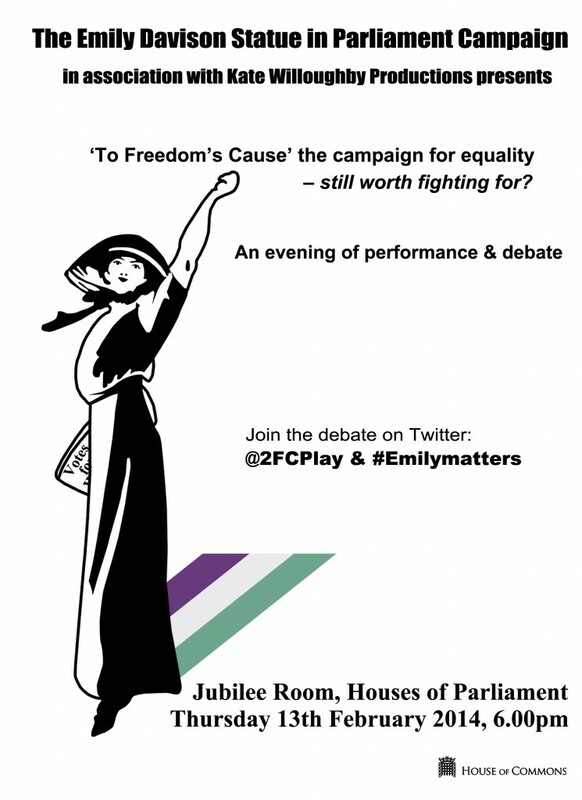 Held in support of Emily Thornberry MP’s campaign for a statue of suffragette Emily Davison in Parliament, the event included a performance of my Emily Davison play, To Freedom’s Cause, directed by Brian Astbury. The play was followed by a discussion on the relevance of the campaign for equality. 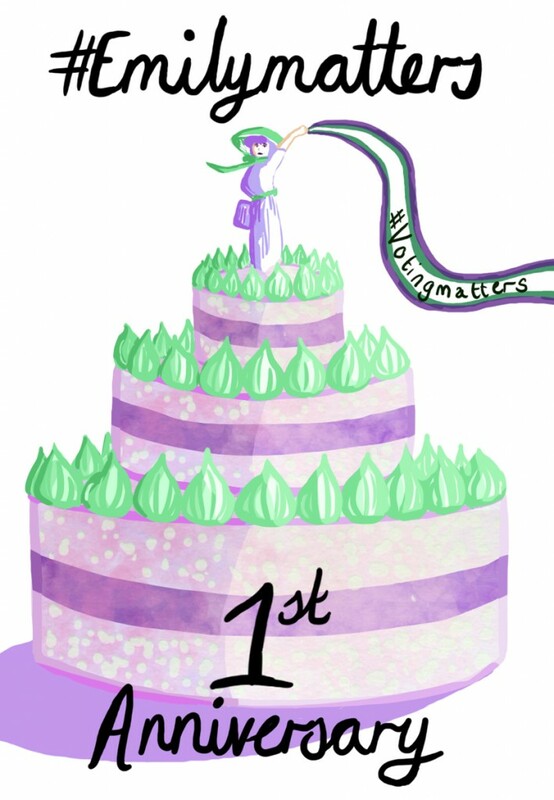 From the start #Emilymatters was about furthering Emily Davison’s living legacy and over the past year it has grown into a social media campaign to support and advance gender equality, particularly focusing on the importance of voting. 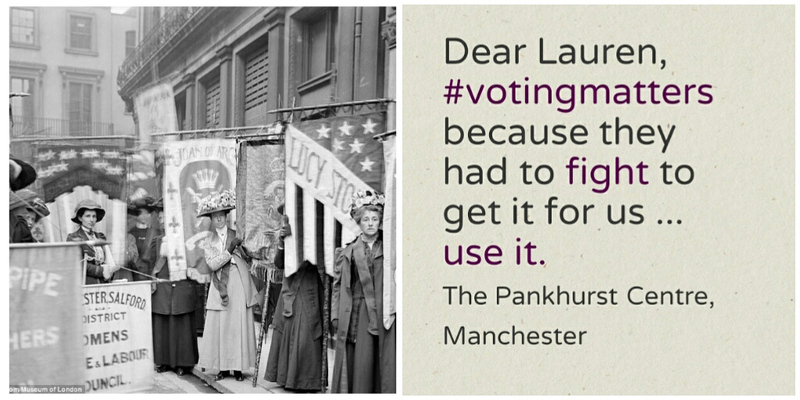 Since February 2014, #Emilymatters has run several social media campaigns specifically linked to encouraging women and young people to vote, drawing on Emily Davison’s legacy and elements of To Freedom’s Cause. 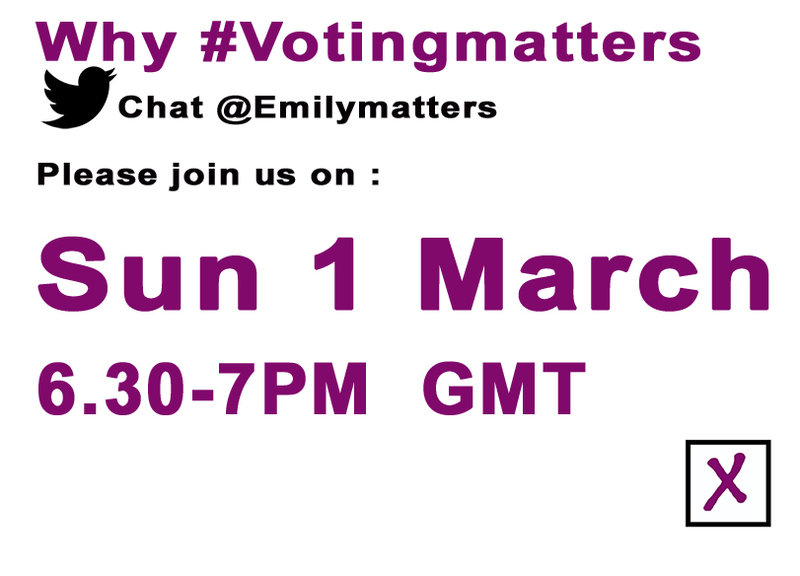 And more recently, @Emilymatters has run Why #votingmatters Twitter chats with community champion @AyathUllah. Please join our next chat this Sunday (1st March, 6.30-7PM GMT). There will be more online campaigns in the build up to the general election and I’m very much looking forward to speaking at a number of events to help encourage more people to use their hard won right to vote. Jane Garvey with Chi Onwurah MP, Dr Helen Pankhurst, Yas Necati & Emma Barnett. 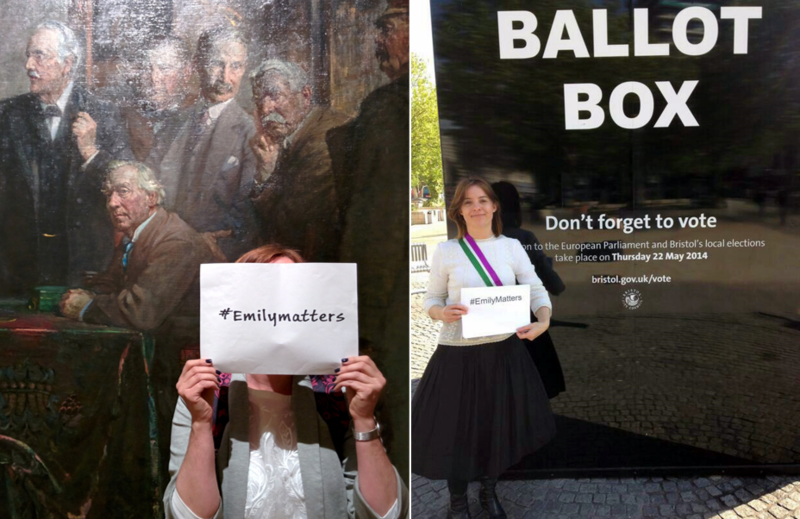 Thank you to everyone who has supported both the play, since 2009 and #Emilymatters. The success of the No More Page 3 campaign has shown the potential of people power and changing attitudes. They have been very supportive of my work and prove that a rising tide carries all boats. Emily Davison’s legacy is for life, not just for 2013.